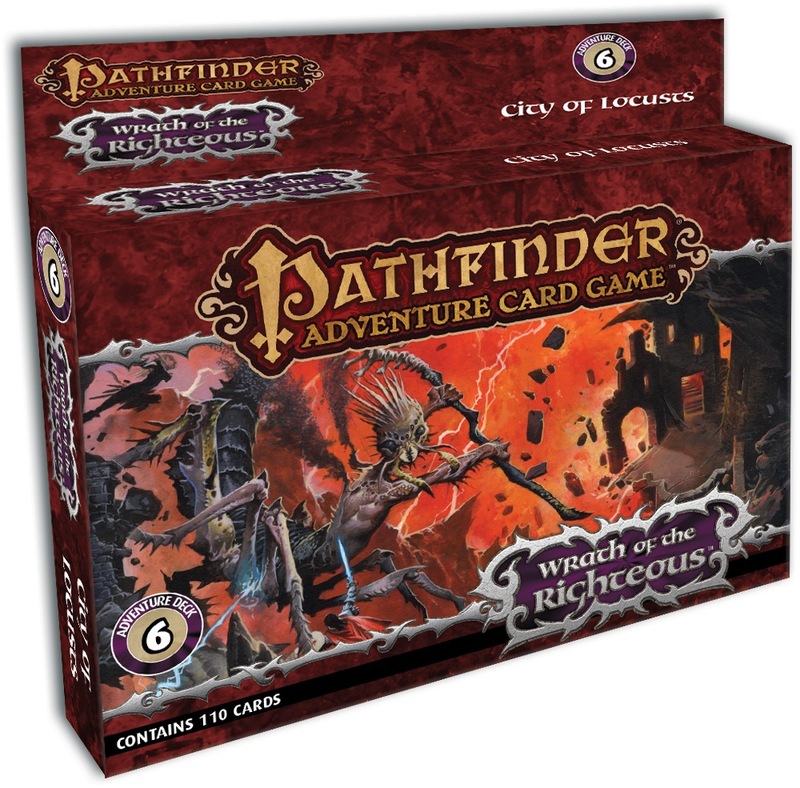 This deck requires the Wrath of the Righteous Base Set, Sword of Valor Adventure Deck, Demon's Heresy Adventure Deck, The Midnight Isles Adventure Deck, and Herald of the Ivory Labyrinth Adventure Deck. Looking for more? 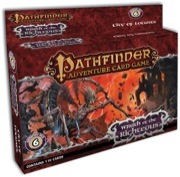 Check out the Resources and Free Downloads available for the Pathfinder Adventure Card Game. 1. When can we expect a card list for this deck? 2. Is there a way to pin this Product discussion on the General Discussion of PACG so that when the card list is available and Sir Chris/Ms. Liz/Sir Hawkmoon lets us know we can see it along with other new posts in the PACG message board? Just so we don't have to navigate to this product discussion every so often to check if Chris/Liz made an update. Any word on when the card list for this adventure deck will be available? ... as well as pdf for things like the heroes' army so that we don't cross medals on the card itself. Yeah, I'm needing this as well. I just played this with my friends and finished it. One thing we noticed though was that on the 5th scenario Closing the worldwound the henchmen it asks you to use in the set up is multiple copies of Dark Adept, but the game only comes with one copy in the base set. We subbed them in, I think its either an oversight or a misprint. See this FAQ entry for the correct answer.